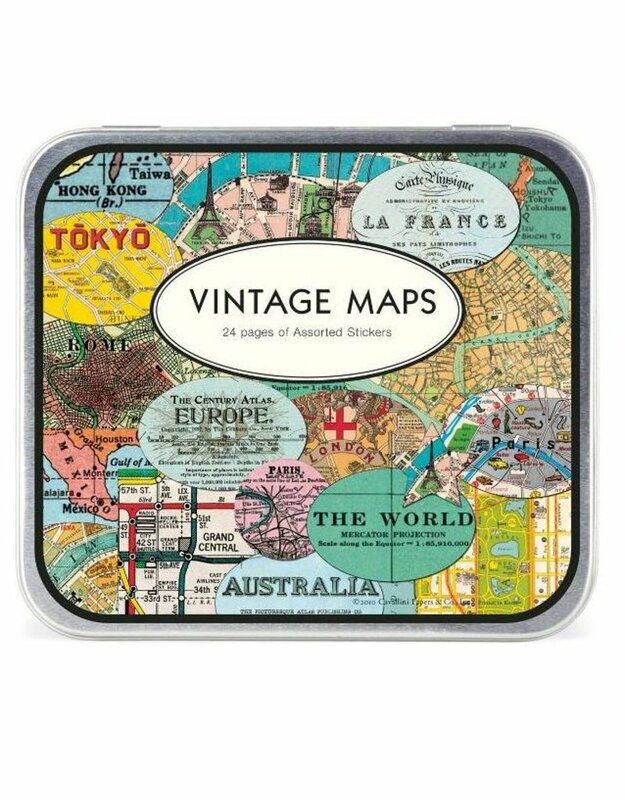 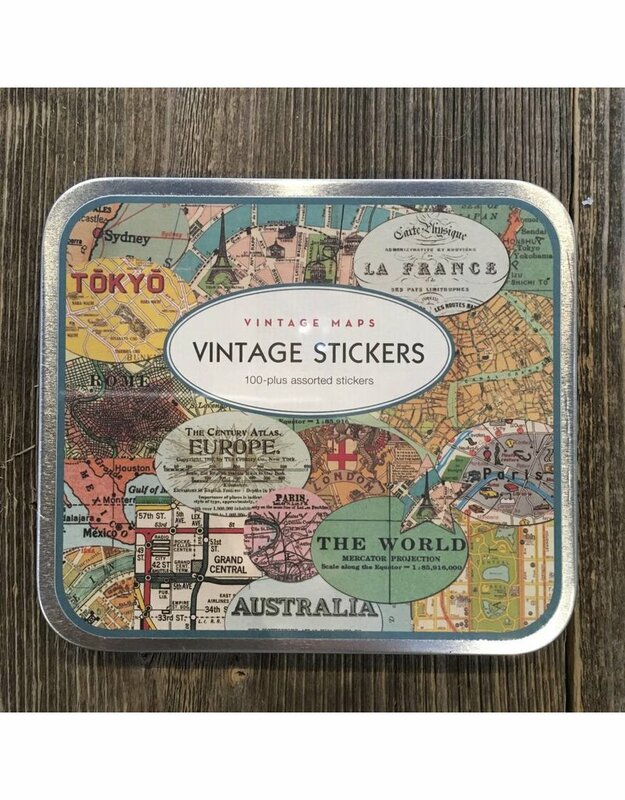 These stylish stickers feature vintage map images from the Cavallini archives. 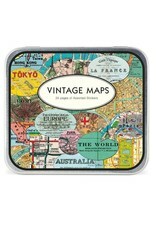 Great for card making, gift wrapping and more. 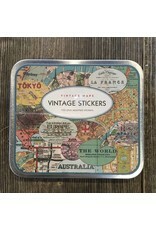 Comes with over 100 assorted stickers printed on Cavallini's signature laid cream paper stock.